When I was younger, I liked to consider myself a trendsetter. I definitely then and now, love clothes, shoes, handbags, and jewelry. However, since having my son, I think I’ve put my love of all things fashion, on the back burner. I have discovered this wonderful website, Oasap.com. I was recently accepted as a member of Oasap’s Fashion Hunters Program. Yipee!!! I really am very excited about it. Oasap is a site where I can find things that are more “high fashion” instead of something I’d buy from off the rack at a local department store. Who knows, I may become a fashionista before it’s all said and done. Okay, I have to admit that the word “fashionista” has always irked me. True. Nonetheless, I’m starting to feel fashionable. I was given the opportunity to order (totaling $70 or less) to try for free and then share what I picked and my experience with YOU! OASAP DO：Deliver fashion & love! OASAP is a global online store dedicated to high-street fashion by offering various kinds of women’s apparel, bags, shoes, jewellery, accessories, beauty products, etc. OASAP was founded in late 2011, however, has already grown to the leader of high fashion online store. We keep updating products at a high rate every day. Now we update more than 600 new products each week. Those products mentioned definitely belong to the latest fashion trend. OASAP’s mission is to make you close to the planet’s most cutting-edge fashion, no matter where you are or what class or age group you are in. Pursuing fashion is the right of every woman. Now for what I chose. First let me say, it wasn’t easy. They have so much to choose from and everything is so pretty. I actually looked over the site for a couple of days before I finally made a decision. It didn’t take long for me to decide that I wasn’t selecting clothing. I need to lose more weight before I’m putting pictures up of me modeling clothing. But I do love handbags, shoes, and jewelry (accessories). so I chose a handbag and a set of bangle bracelets. I made a great choice! The shoulder bag crafted in PU, featuring elegant fold over flap fastening to the front with metal buckle detail, single wide strap fastening to the top, double flap pouches and long detachable shoulder strap with an adjustable length. It also comes in beige if you want a more neutral, go with anything color. 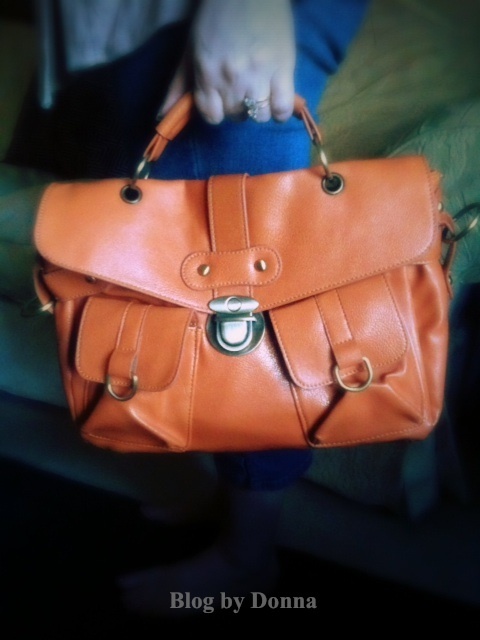 But since orange is my favorite color, not to mention, perfect for Fall, I thought it would be a great choice for me. Besides, I think orange is a fairly neutral color… going with many things in my closet. And a great bargain at $43. This multilayer bracelet crafted in high quality alloy and wood, featuring multi-layered design with wood bangle, exquisite metal and faux leather bangle. Distinctive design with unique elements and personality. I’m really enjoying the versatility of this bracelet. 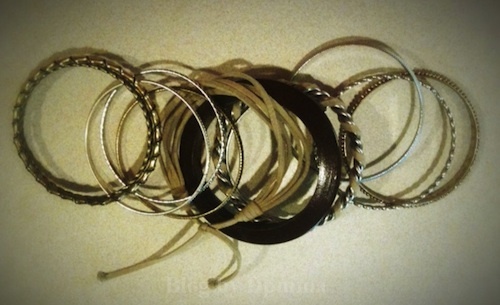 At $24, this bracelet is a bargain, just for all the different looks you can get with it. If you would like to become an Oasap.com Fashion Hunter, Join Now. FYI – if you sign up from this link, I’ll receive $8 credit, if you’re accepted. And, you’ll then be able to invite your friends and get $8 credit each time one of them are accepted. Disclosure: I received credits to purchase items to facilitate my review. Not other compensation was received. The opinions expressed are 100% my own. Your opinions may differ from mine. I love the dress and the red shoes at the bottom of the blog post! 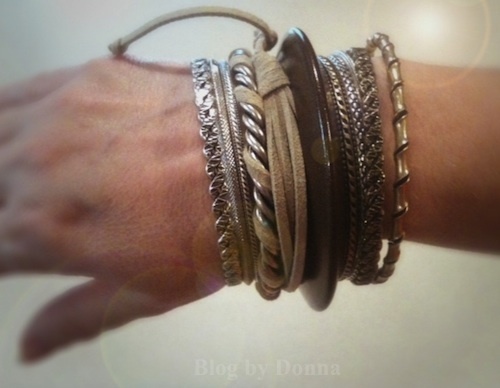 I really love those bangle! And the style of the purse is nice, I like that you can detatch the shoulder strap, Nice choices! I love that bag! I really need to check that site out. 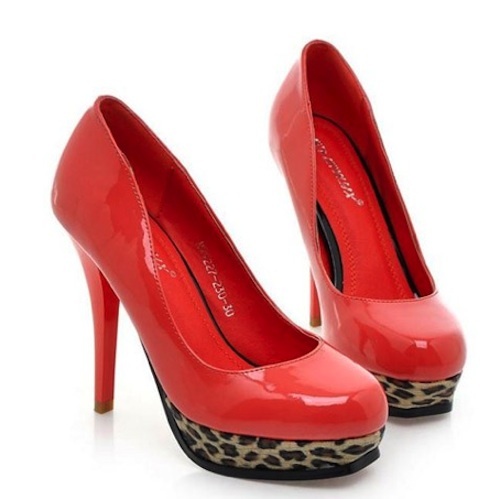 By the way, those shoes are fierce! Oh i love that vintage print dress! Donna I seriously LOVE that handbag. Would you say it’s pretty roomy? I need a big bag to cart around both my and my son’s stuff. I love that the site has free shipping. 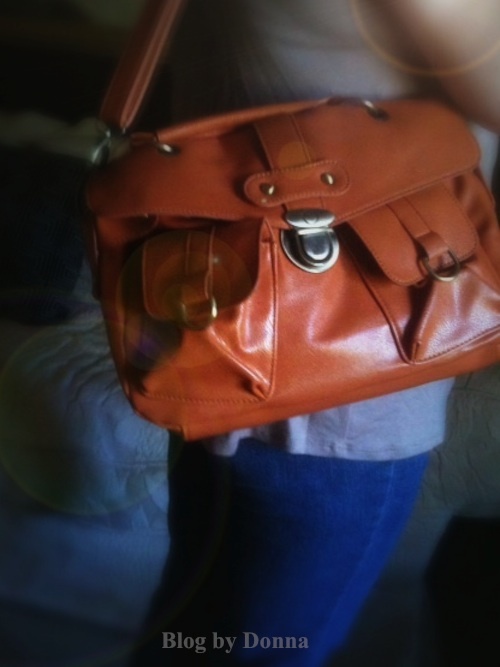 I LOVE the purse that you got, it’s adorable and absolutely perfect for fall! Oh I love that orange bag and the dress!! Great choices! I had never heard of Oasap.com before reading your review. I’ll be sure to check out the site – I love that it offers free shipping. Cute shoes! And I love that dress too! I’ve never heard of them, so I’ll definitely be checking them out! Whata great bag for the fall season! They have a big selection of items. Thanks for sharing! I LOVE the bag! It;s so trendy! I love the purse too! I really adore both the bag AND the bracelets you received. They’re gorgeous and unique. Oasap looks really neat! Love the bag you chose! Love that bag and those shoes are adorbs! I am with you on each item in this post. they are all super cute. I’m so picky about my handbags I tried to order one from them but of course the one I wanted was out of stock.